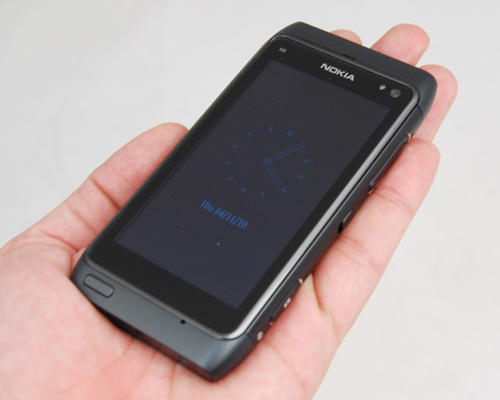 At long last, the Nokia N8 is finally here, amidst a flurry of news that accompanied its announcement since April 2010. More than six months down the road, and almost missing the Q3 2010 launch promise, the N8 was pushed into the market and delivered to consumers. Well, some, not all consumers. How does the N8 fare from first impressions? Well-defined contours and a minimal use of plastics on its exterior gave the N8 a few plus points for our evaluation of its design. A seamless, unibody design is incorporated onto the N8, leaving the device looking sleek and sophisticated. And if looks aren't enough to satisfy, we can attest to the smooth feel of the phone's smooth metal finish on our hands. 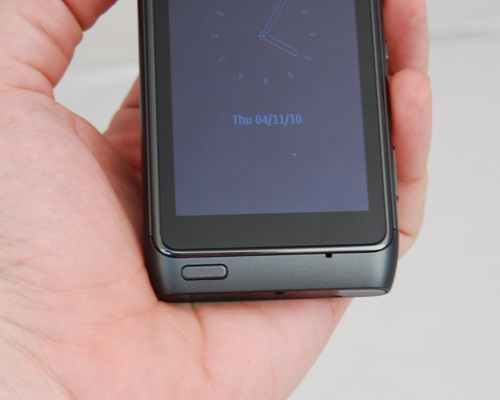 Even so, handling the N8 wasn't a chore, given its reported weight of 135g, and our own experience. Its front profile is mostly devoid of physical buttons, save for one at the bottom left that brings up the Menu. While it does come off well in the aesthetics aspect, we also realized its accompanying shortcomings. With its SIM and microSD slots well hidden by two plastic covers, the obvious problem is intricately tied to its streamlined design. In our bid to access the said card slots, we realized that it takes much effort to pry both covers open. Even with the use of a spring mechanism to unload the microSD and SIM cards, the cards are etched too deep within. In turn, our stubby fingers couldn't reach it easily, and in lieu of that, we had to use a pen to prod and eject the cards. 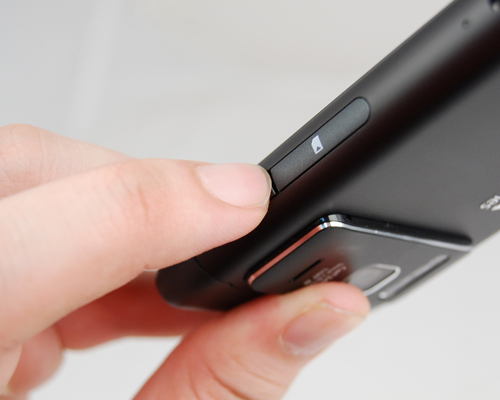 Besides the card slots, the N8's left profile also houses the microUSB port. 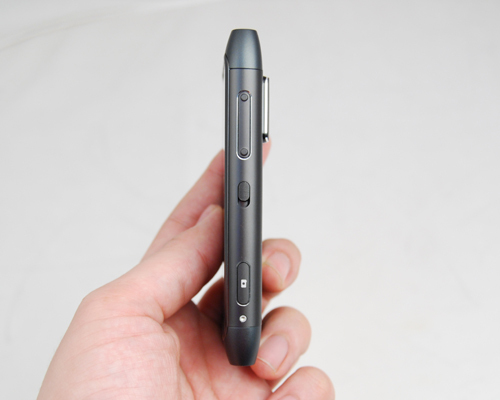 For this, Nokia chose to leave the microUSB port without a cover. Personally, this bodes well for us as it's easier to interface with the N8 without fumbling with a potentially stiff cover. 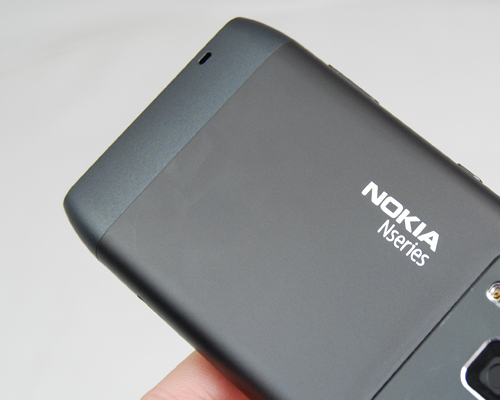 With a fully flushed left profile, it stands that the N8 would try to attempt the same for its right profile. As such, you get a clutter of buttons such as the volume, lock and camera's shutter release all lined up in single file on the right. While the volume buttons and lock slider are relatively easy to access, the camera's photo capture button is deceptive. Being flushed as it is, there were times when we had to use the tip of our nails to have the button fully depressed to activate its camera and capture a shot. On its front, the one and only visible button is located at the bottom left, which tends to strike us as an odd position. Should you be a right-handed, your thumb will find it at an awkward position to reach, often throwing the phone off-balance in your hand. This button acts as the menu and home button functions, whilst pressing and holding it invokes the task manager. We'll cover more on that in the Features page. Perhaps the most prominent difference in its design value over the previous N-series, or in fact, any other Nokia devices, is the N8's choice of using a non-removable battery. Turning to the rear, the smooth and metallic finish is proof of the device's commitment to keep its exterior as fuss free and streamlined as possible.